It’s a little late now but hurry if you can. 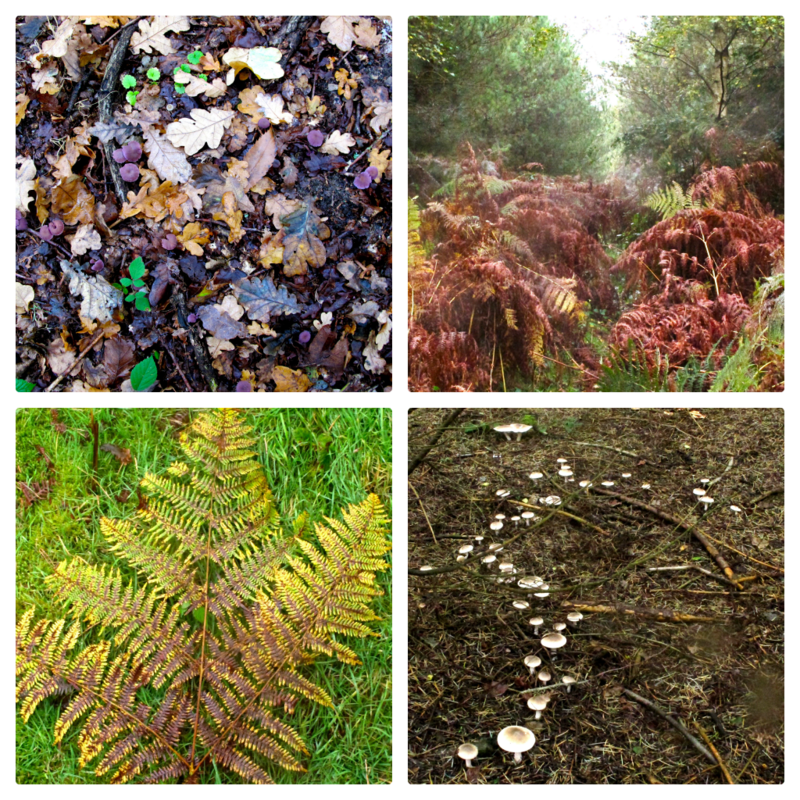 Go to a forest, a wood or a heath, a couple of days after it has rained. Get up early, arrive just before dawn, take a wide flat basket, a walking stick, boots, a flask of hot tea and a little guide book to mushrooms. 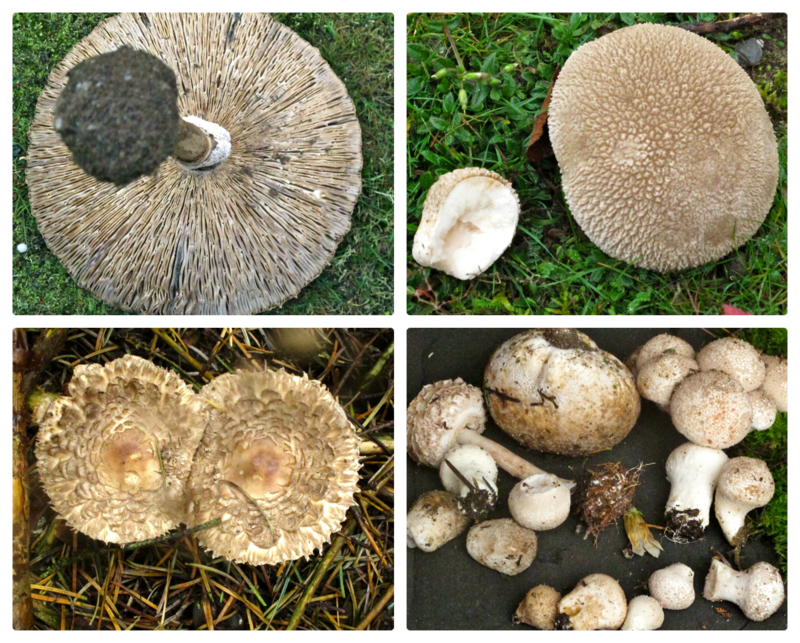 This is the season to go on a mushroom hunt. The first time I would recommend going with a guide, picking mushrooms isn’t something you want to get wrong. In London I recommend fungitobewith, who is a ranger at Kenwood and knows Hampstead Heath, Epping Forest and Wimbledon common well. 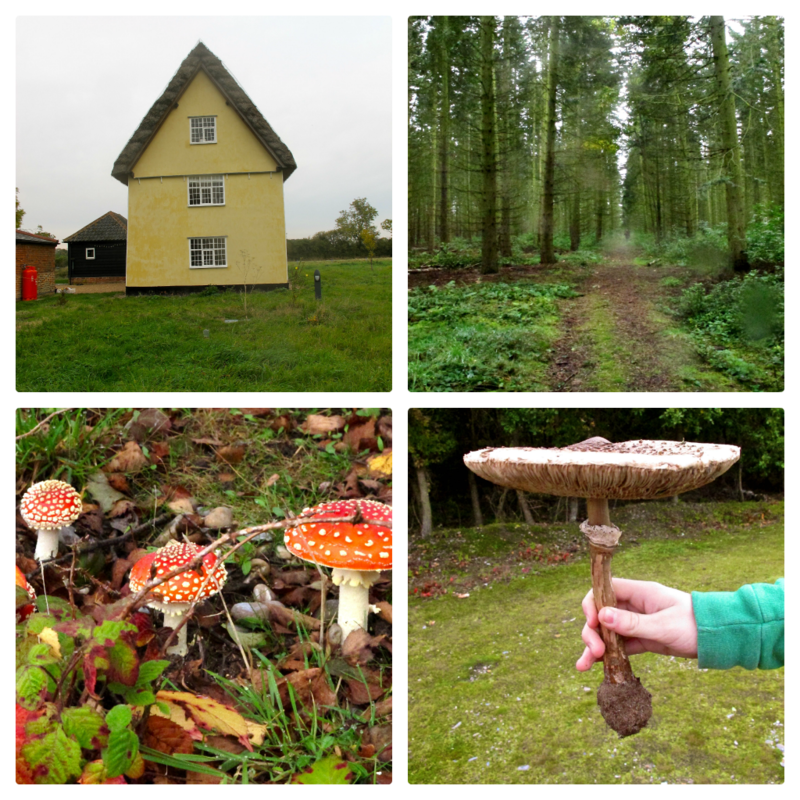 If you venture outside London, you will thrill to the variety and quantity of mushrooms. 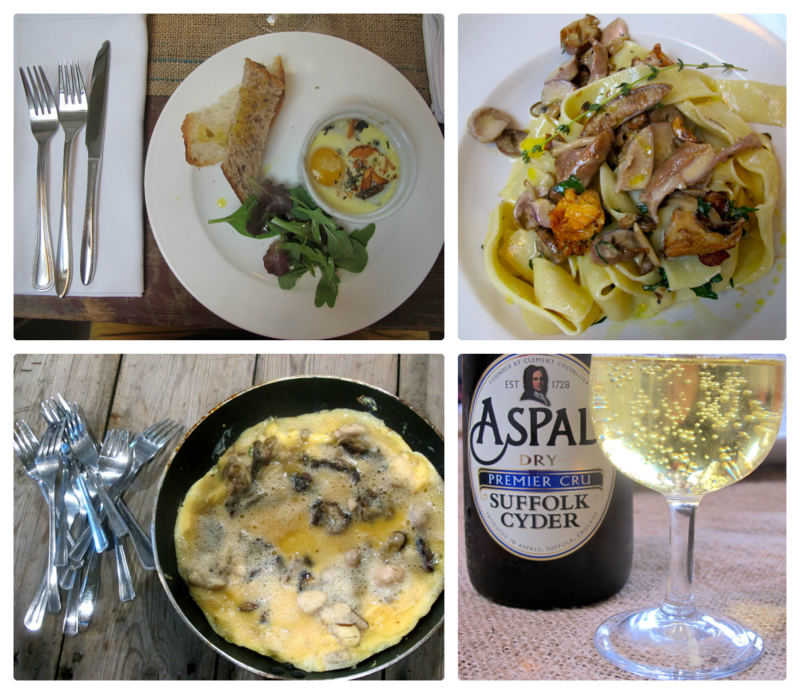 Last weekend I spent in Suffolk with @foodsafariUK, the brainchild of Polly Robinson. 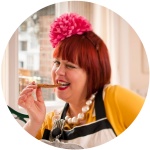 She organises regular food related forays: tours of local producers (smokehouses, breweries, bakeries), pop up dinners, cookery day courses and mushroom picking. She also works closely with the nearby Aldeburgh (pronounced Aldebrugh) food festival. 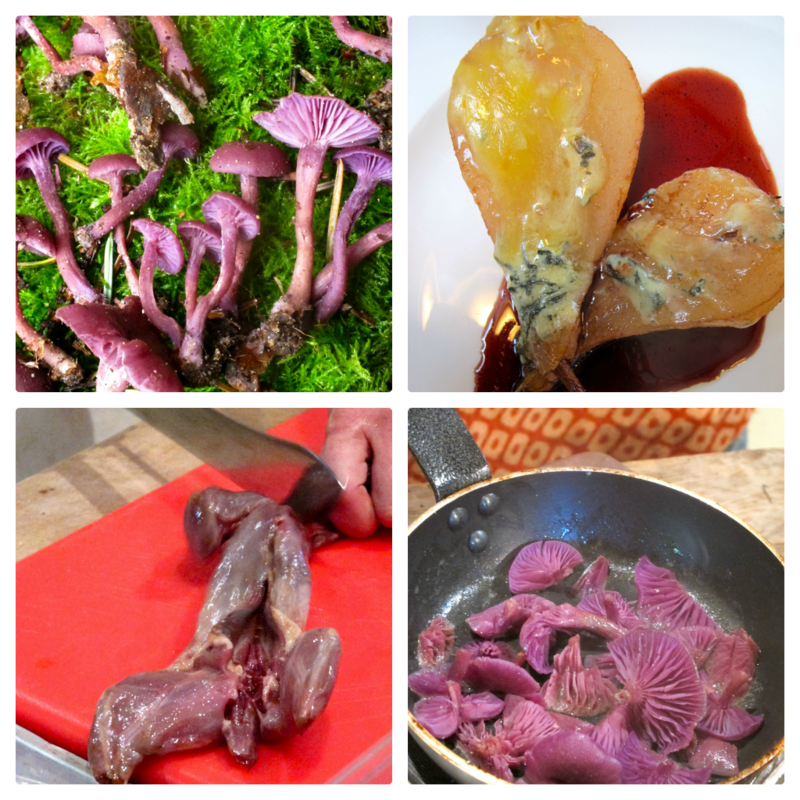 Top left: Amethyst deceivers, you can eat these but not the pink ones. Bottom right: mushrooms spread out in circles, fairy rings. The larger the ring, the older it is. Sometimes they are vast. 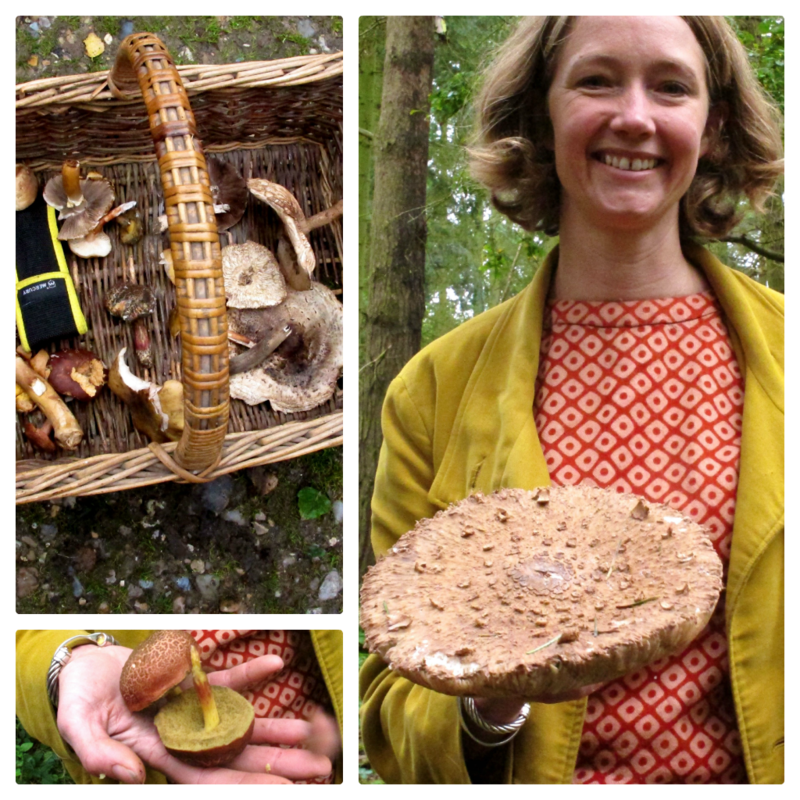 Polly Robinson, founder of Food Safari, bottom left, cracked red boletus. 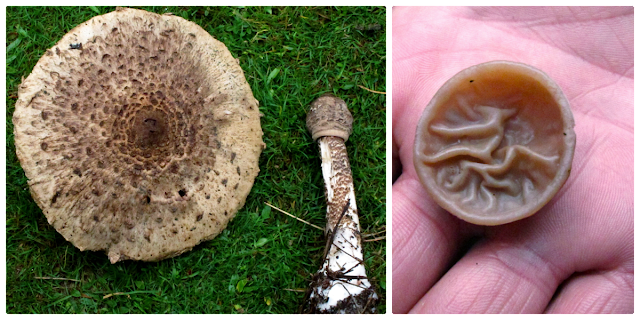 Rude mushrooms: Shaggy cap and Jelly ear. Shaggy Cap and Puffball. The Puffball was particularly delicious. If you can get a giant one, and it’s still firm, then slice it into ‘steaks’ and fry in butter. Purple deceivers, spiced pears with blue cheese by chef Tim Wood (delicious) and yuk, squirrel. Tim tried to say it was like rabbit, but really it’s like a rat. Gross. As I drove to the meeting point near the wonderfully named village of Snape, a fuzzy brown shadow was moving on the left hand side, next I knew, an enormous stag dashed in front of my van and galloped to the other side of the road, disappearing into the bronze and green woodland. I gasped with shock. Suffolk’s autumn colours vibrate with coppery intensity, it’s worth going just to see the leaves. The mushroom walk lasted a couple of hours but I could have spent all day there, after my encounter with the stag I felt there was something enchanted, reminiscent of the forest scenes in ET. I discovered later that this is near to Rendlesham Forest, where there was a curious UFO incident in 1980, where Margaret Thatcher was said to have acknowledged that it happened but said “we can’t let the people know”. Oeufs en cocotte; fresh pasta with wild mushrooms, a simple mushroom omelette, local cider by Aspals. 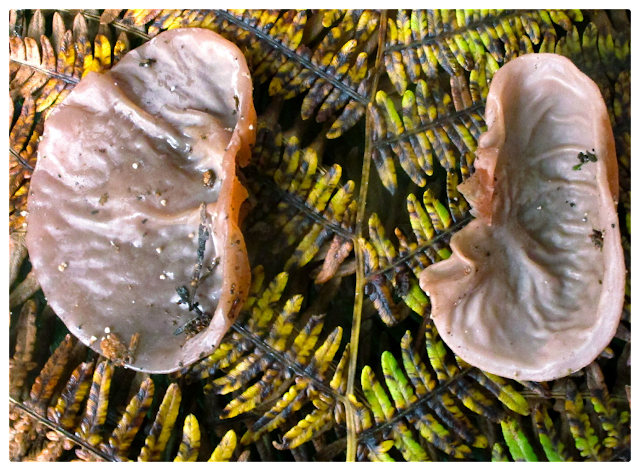 Brush mushrooms, or dab lightly with a damp cloth rather than wash them. The enemy is moisture. Don’t over-handle. Cook lightly, it’s all about the texture. Each type of mushroom should be cooked differently: enoki mushrooms are better in soup. Some mushrooms such as blewets are better in stews. Chanterelles, porcini and puffballs are great fried. Others are better raw in salads. Season at each stage of cooking. If the mushrooms contain a lot of moisture, salt towards the end of the cooking as salt will make them more watery. Mushrooms have an affinity with butter, thyme and garlic. You can also try drying them. Either with an Aga, a dehydrator or in an airing cupboard. Then to rehydrate them, soak them in hot water for 20 minutes. They have flavour but poor texture. So better to use them in casseroles or sauces. Store mushrooms in a paper bag in the fridge, but better to have them at larder temperature. Do not drink alcohol with common ink cap mushrooms. They naturally contain antabuse which reacts badly to alcohol. I stayed as a guest of The Crown at Woodbridge, run by chef-patron Steven David, who transformed the pub into a stylish boutique hotel and restaurant four years ago. It was recently named as one of Britains best gastropubs in The Independent and the rooms are large and well designed. The food served by the restaurant regularly has local foragers bringing in produce, they only use the freshest ingredients. Woodbridge itself is an ancient village with a well-stocked cookware shop. I got there just as it was closing and spent £35 in as many seconds. Amazing, delighted to see so much varieties of small & huge mushrooms. The first variety was just so good – the one resembling ears & also named so. & the purple deciphers look absolutely gorgeous ! lovely post !